New Zealand horse breeders have been urged by a welfare advisory committee to consider behaviour and temperament in their mating decisions. The country’s National Animal Welfare Advisory Committee has released an opinion paper on animal welfare issues associated with selective breeding. The committee provides independent advice on animal welfare to the Minister for Primary Industries. 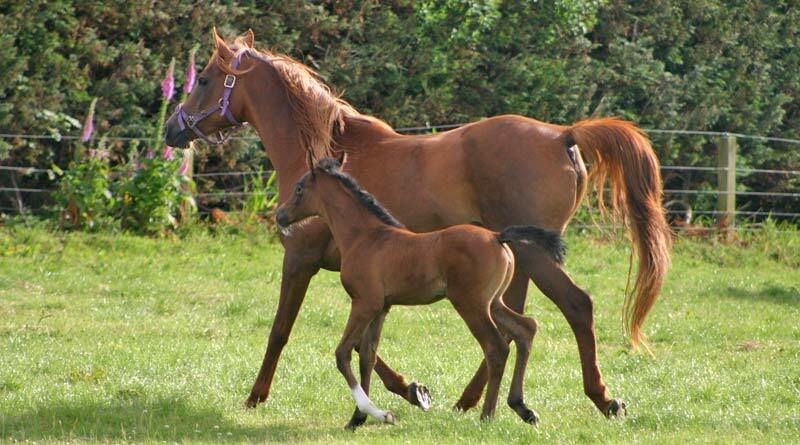 Dealing with horses, the committee noted that the animal welfare code for horses and donkeys, released last year, contained a section on breeding and rearing, although its emphasis was on issues of care and stockmanship related to the welfare of breeding stock and foals. The committee noted that horses have been selectively bred for centuries. That said, it noted that an international study published in 2012 found that breed popularity and the number of inherited disorders were correlated, and that the greatest number of conformation disorders were found in Miniature Horses, where it could be argued that the selection pressure for function may not be as great. In addition, a “founder” or “popular sire” was noted, leading to the genetic condition hyperkalemic periodic paralysis, associated with Quarter Horses and related breeds due to intensive use of stallions that were particularly successful in the show ring. It gave the example of the American Quarter Horse Association of New Zealand and the Paint Horse Association of New Zealand, which both require breeding stock to be tested for five of the known genetic disorders associated with the Quarter Horse. In addition, the New Zealand Miniature Horse Association requires a Certificate of Soundness for stallion registration. The certificate requires a veterinary examination, and freedom from several genetic disorders and/or undesirable traits. It said it supported the efforts of the New Zealand Equine Veterinary Association to educate and advise both breeders and the public on the existence and diagnosis of inherited conditions, and to encourage breeding practices which select against known inherited diseases. “The impact of selective breeding on behaviour and temperament should also be considered by breeders,” the committee said, pointing to a 2004 study which showed fearful reactions in horses can be affected by genetic selection. The committee said it was aware of concerns raised about the number of horses leaving the racing industry. “However, the committee does not see ‘leaving the industry’ as an animal welfare issue in itself. The committee said it was aware that New Zealand Thoroughbred Racing and Equestrian Sports New Zealand had launched a joint initiative aimed at increasing opportunities for second careers for Thoroughbred horses retiring from racing and raising awareness of the adaptability of Thoroughbreds for careers in equestrian sport. The initiative also aims to increase links between the Thoroughbred racing industry, the wider equestrian community and the public to stimulate uptake of ex-racehorses for second careers. ← Do you understand the dust patterns and sweat marks of saddle fit?